The 2017 Africa Nations cup home and away series against Guinea Bissau was labeled a do or die encounter. Kenya had to win both matches to keep their hopes of qualifying alive. 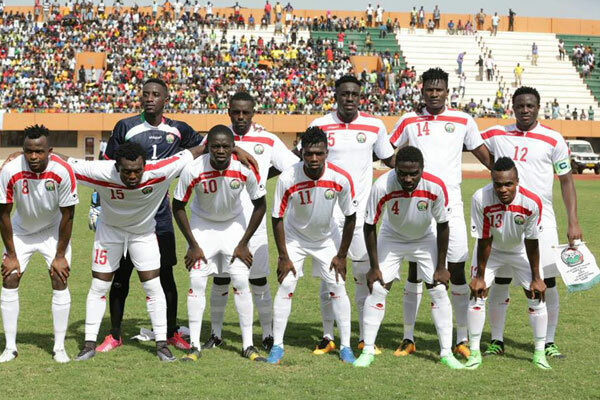 There was some optimism given that Guinea Bissau is ranked 44 places below Kenya in the FIFA ranking. There was also some optimism because there was a new FKF regime that had promised better planning and better travel arrangements for the team. In hindsight however it must be noted that Guinea Bissau is indeed a better side than Kenya. Guinea Bissau may be a tiny island on the Atlantic ocean with a population of of only 1.7 million people. But the one advantage they have is that there is a significant number of emigrants to Portugal. As a result their entire football team consists of players who were born in Portugal, learned their football in Portugal and played for the youth teams in Portugal. Cicero Semedo, who scored the controversial goal against Kenya, is a product of the Braga youth system. None of their players play in the Guinea Bissau league. This means that in their youth, they have been exposed to well qualified youth coaches who instilled the proper fundamentals and technique to the players. This is a starke contrast to the Kenyan side where almost none of the players were exposed to structured youth development. And most of them play in the Kenyan league which is several tiers lower than the Portuguese first or second tier. As is typical of most Kenyan national sides, Harambee stars assembled only a few days before match and did not play any friendlies. Typically what happens with Harambee stars is that a squad of 22 local players is called into camp, many arrive late. Half of them are then dropped to make way for the European contingent. By the time they play the match, the players have hardly trained together much less play in any friendly. Teams that do well in the qualifiers are those that take advantage of every FIFA window to camp and play friendlies. This helps build cohesion and understanding between players. It also gives the coach a chance to assess his players and install his playing style on the team. This entry was posted in Kenya Football News and Commentary, Kenya Sports news and commentary and tagged harambee stars, Kenya vs Guinea Bissau. Bookmark the permalink.